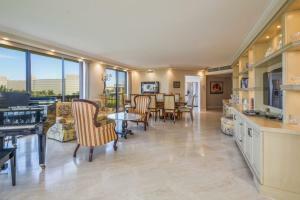 View all current homes for sale in Sutton Place, Palm Beach, Florida. Click on a listing to the view property details, photos and maps. If you would like to change or expand your search criteria, go back to the Palm Beach search page, or try using our Advanced Search. 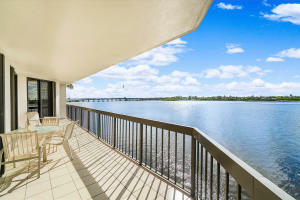 Perfection awaits you in this impeccably designed corner unit, two bedroom, two bath direct intracoastal condo with breathtaking water views. Entertaining friends and family is a breeze in this beautiful, spacious and well-designed condo. The stunning intracoastal views are enhanced by the floor to ceiling sliding glass doors. Enjoy water views and sunsets while dining from the luxury of your oversized terrace. The renovated eat-in kitchen features custom cabinets and granite countertops. Unwind in your master suite which offers magnificent water views, an oversized balcony, custom closets, large master bath with his and hers sinks and a separate shower and soaking tub.Your guests will enjoy the large guest bedroom with sliding glass doors that open to a large balcony.